Although more and more people own e-books, it seems safe to say that real books aren’t going anywhere yet. Eighty-eight percent of the Americans who read e-books continue to read printed ones as well. And while we’re all for the convenience of digital downloads and a lighter load, we can’t bring ourselves to part with the joy of a good, old-fashioned read. There’s nothing like the smell of old books or the crack of a new one’s spine. (Plus, you’ll never run low on battery.) 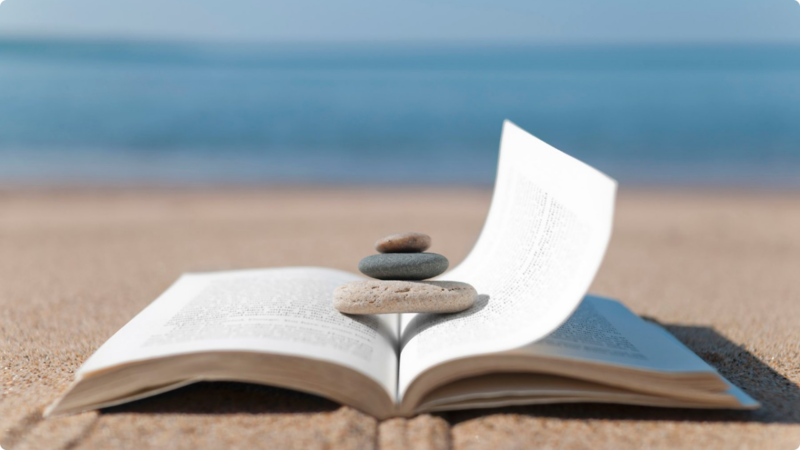 And it turns out that diving into a page-turner can also offer benefits toward your health and happiness. Here are eight smart reasons to read a real book. 1. Printed book increases intelligence. As Dr. Seuss once wrote, “The more that you read, the more things you will know. The more that you learn, the more places you’ll go.” Diving into a good book opens up a whole world of knowledge starting from a very young age. Children’s books expose kids to 50 percent more words than prime time TV, or even a conversation between college graduates. Exposure to that new vocabulary not only leads to higher score on reading tests, but also higher scores on general tests of intelligence. Plus, stronger early reading skills may mean higher intelligence later in life. Print books have pages that are nice and soft to the touch. Paper makes reading physically pleasurable. Reading an e-book, on the other hand, feels like using an ATM. And after staring at a computer screen at work all day, how relaxing is it to curl up at home and stare at another screen? 3. Plus, it can boost your brain power. Not only does regular reading help make you smarter, but it can actually increase your brain power. Just like going for a jog exercises your cardiovascular system, reading regularly improves memory function by giving your brain a good work out. With age comes a decline in memory and brain function, but regular reading may help slow the process, keeping minds sharper longer, according to research published in Neurology. Frequent brain exercise was able to lower mental decline by 32 percent. 4. Flipping pages can help you understand what you’re reading. When it comes to actually remembering what you’re reading, you’re better off going with a book than you are an e-book. The feel of paper pages under your fingertips provides your brain with some context, which can lead to a deeper understanding and better comprehension of the subject you’re reading about, Wired reports. So to reap the benefits of a good read, opt for the kind with physical pages. 5. It may help fight Alzheimer’s disease. Reading puts your brain to work, and that’s a very good thing. Those who who engage their brains through activities such as reading, chess, or puzzles could be 2.5 times less likely to develop Alzheimer’s disease than those who spend their down time on less stimulating activities. The paper suggests that exercising the brain may help because inactivity increases the risk of developing Alzheimer’s, inactivity is actually an early indicator of the disease, or a little of each. 6. Print books are yours for life. The books you bought in college will still be readable in 50 years. Do you really think that in 10 years your e-reader – or book-reading watch, or virtual reality goggles – will work with today’s e-books? 7. Print books are great to share. There is nothing quite like putting a book into a friend’s hand and saying, “You’ve got to read this.” There are ways of sharing e-books – if both you and your intended recipient can navigate the Digital Rights Management system. But sharing an e-book has all of the warmth of sending an e-mail or paying someone on PayPal. 8. 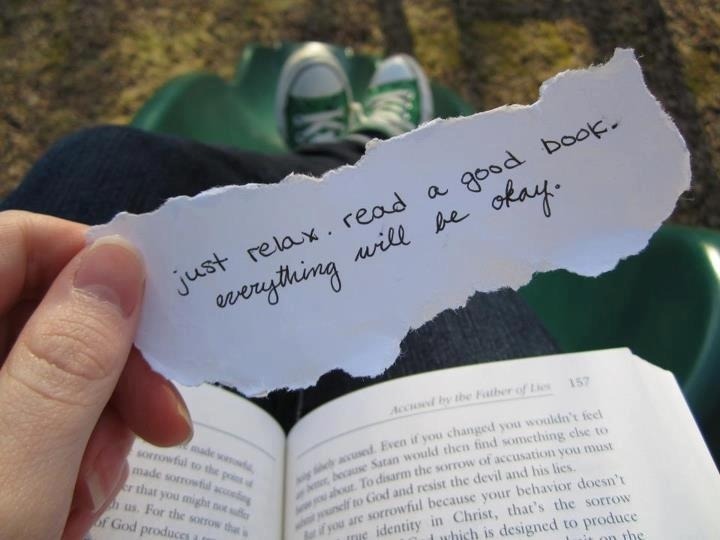 Reading can help you relax. 9. Reading before bed can help you sleep. Creating a bedtime ritual, like reading before bed, signals to your body that it’s time to wind down and go to sleep. 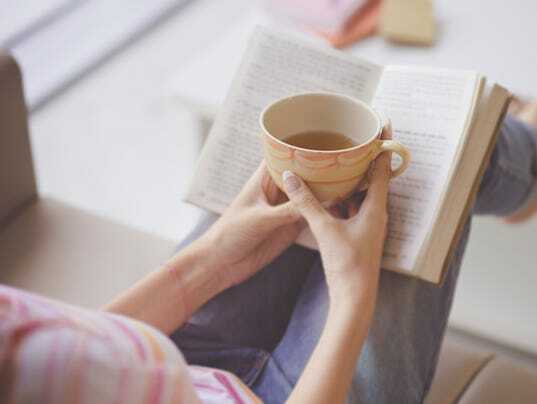 Reading a real book helps you relax more than zoning out in front of a screen before bed. Screens like e-readers and tablets can actually keep you awake longer and even hurt your sleep. That applies to kids too: Fifty-four percent of children sleep near a small screen, and clock 20 fewer minutes of shut-eye on average because of it, according to research published in Pediatrics. So reach for the literal page-turners before switching off the light. 10. You remember less by using e-book. Another study of adults also found that e-books can be hard to absorb. The researchers asked 25 people read a 28-page story on a Kindle and 25 to read the story in paperback, then asked the readers to put 14 events from the story in chronological order. Those who read the story on a Kindle performed worse on the chronology test than the book readers, though they performed about the same as print readers in other tests. Earlier research by the same scholars, from Stavanger University in Norway, found that Norwegian 10th graders also remembered more about texts if they read them in print rather than on a computer screen. 11. Print books are theft-resistant. If you leave a book in your car, you can be pretty sure it will be there when you return. That is probably not true of your iPad, Kindle or other e-book reader. And a bonus: if you drop a print book in the bathtub, you can dry it out with a hairdryer. Can You Spot Deepika Padukone In This Old Class Photograph Of Hers From School?